There is no such thing as nuclear waste — and that’s just one of the many beautiful things about nuclear energy. 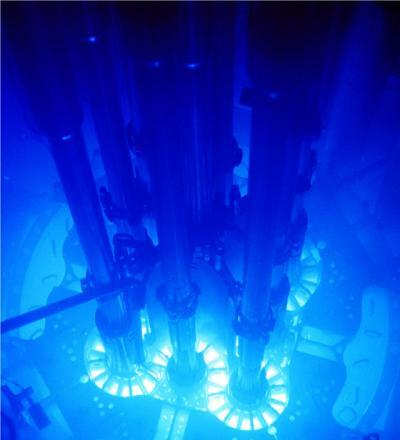 A nuclear reactor is refueled by its waste. Pierre Guelfe: When the depleted fuel rods are removed, the reactors are shipped to La Hague for reprocessing. They let it cool down for a few years and then remove the uranium and plutonium. They ship the plutonium here. We take it and mix it with another stream of material, which is the scrap that is left over from uranium enrichment. The U235 content of this is very low … U235 is the fissionable isotope. But the plutonium is much more fissionable than the depleted uranium. So when we mix them together, you get a fuel that is very close to enriched uranium. It’s called ‘Mixed Oxide Fuel’(MOX). We have 20 reactors here in France running on MOX and there are ten more in Germany and two in Switzerland. So we’re pure plutonium, and we scrap uranium together. We use everything. We don’t leave any waste. William Tucker: I’ve read this several times but I want to make absolutely sure: The plutonium that comes out of a commercial reactor, that you separate from the fuel rod, that cannot be used to make a bomb, right? Pierre Guelfe: That’s right. You have four plutonium isotopes: Pu239, Pu240, Pu241 and Pu242. Of the four, only Pu239 can sustain a chain reaction. The others are contaminants. The PU241 is too highly radioactive. It fissiles too fast so you can’t control it to make a bomb. But you can use all of them to sustain fission in a MOX reactor (source). And yet on the basis of some colossal misinformation, the United States now has fifty thousand tons of nuclear “waste,” because our government won’t allow nuclear plants to reuse it. The stated policy of the Department of Energy (DOE) is “not to reprocess” a perfectly reusable by-product — and all for absolutely no good reason. That, as I discuss in Chapter 12 of my book, is why Yucca Mountain is unnecessarily, and at great cost, being built in southwestern Nevada: to store a nuclear “waste” that could instead be simply and efficiently reused. Nuclear “waste,” incidentally, is also used for medical isotopes. In fact, over 40 percent of medicine now is nuclear medicine. Currently, we must import all our nuclear isotopes because we’re not allowed to use any of our own. This is not only profligate. It’s a kind of lunacy. Just for the record: Barack Obama was opposed to nuclear energy before he was for it, presumably because, unlike wind and solar, nuclear energy actually works, and is more efficient by far than any other alternative. It seems well worth mentioning also that as a direct result of environmentalism’s pathological antipathy toward nuclear energy, these same environmentalists have thereby brought the world 400 million more tons of coals used per year, ever since 1976, when the nuclear reactor at Three Mile Island melted down. Naturally, because environmentalists can’t be bothered by facts, it went completely unnoticed that the containment vessel at Three Mile Island had done its job and prevented any significant release of radioactivity. I guess we can’t follow the French example as they are cheese eating surrender monkeys. Freedom fries and all that. Yet the French example points to the larger hypocrisy of Europe when it comes to environmental policy and particularly their attitude towards the third world and develoment. They don’t want the third world to have what we do – for their own good. Look at how wretched our lives are! It also ties in to the kyoto accord, and the fact that it was written in such a way that the European nations could easily meets their “targets” with very little effort. Of course the Americans were smart enough not to even bother signing it. I believe it was unanimously voted down. We in Canada signed it, but didn’t even try to implement it – I think we were just trying to rub the Americans noses in our superiority, and show how enlightened we were. At least Harper has enough sense to state that there is no reason to sign Copenhagen when it is completely unreaslistic, and no one will even bother trying to meet it. Of course here in Ontario, instead of building nuclear, we spend 5 000 000 on windmills that won’t produce energy when the wind doesn’t blow. So I guess we’ll have to build some gas fired power plants to back them up. “Green” boondoggle. There’s a 800 pound gorilla in the wind- and sun-energy sources. As Redmond points out, windmills “won’t produce energy when the wind doesn’t blow.” And solar panels fail at night. So where’s the gorilla? The power grid has no storage! Were does the power come from when the wind stops? Answer: coal and (we wish) nuclear. The gorilla is the fact that you can’t turn these on and off – you have to keep them “spun up” to compensate for the inconsistent wind or sun sources. In other words, wind and solar, besides being unsightly and grossly inefficient, does nothing to reduce pollution because we still need to burn coal to maintain the power grid. We should embrace windmills when they place them on the coastal ridges where rich liberals live. You’ll find they are just as NIMBY about windmills as they are about nuclear power plants (as Kennedy already proved). Gonna have to disagree on this one. Nuclear power does create a toxic environment, just look at the history of the Navajos, uranium mining has historically been one of the ugliest, dirtiest and cruelest industries in history. Green pools of wastewater so toxic that you still can’t go near them and nobody has the first clue how to clean them up. It’s also not at all clear that this industry has produced net energy when you consider the oil burned to mine the fuel and the fuel that will eventually be stored somewhere, as endless reprocessing is neither technically feasible nor a good idea, as it creates additional waste in the form of decommissioned reprocessing facilities. If you believe that the waste is so harmless then I am sure you would be just fine with it being stored on your front lawn. Wind power is actually way better than solar, and is one of the best forms of “concentrating solar power.” Solar “energy” is overrated, almost as much as you overrate nuclear. Not all of us are NIMBY about wind turbines, and I think this article does a disservice to those who have actually done a great deal of research on questions of which energy sources are actually “sustainable” and which are not. The real energy sources are trash, biomass, smart hydro and wind. Nuclear is the most dangerous and dirtiest form of energy in existence, and gives the government a perfect tool for authoritarianism: fissile material to power the nuclear Sword of Damocles. You are entitled to your opinion of course, but in this case it happens to be wrong. Toxic waste: take it from someone who actually works in the field of “solid waste,” it actually exists! I did look at it. I grew up down there. My father mined uranium for years. And you know what created those “toxic environments”? Exactly the thing you endorse: the absence of full, iron-clad private property laws — i.e. government intervention created them, which is to say protectionism, which is to say, favoritism. Under a system of pure, unadulterated capitalism, no one – and I mean no one – is allowed to poison anyone’s person or property. If anyone does, that person is guilty of a crime and must be punished to the full extent of the law. Everything? Don’t leave any waste? Not one iota of waste? Seems hard to believe. Now I don’t know how credible the following information is, but I wish I could hear what Guelfe has to say about it. Again, I don’t how credible these sources are, and seeing the name Greenpeace in the second source triggers instant skepticism, but are they really just making this stuff up? There are many more stories about nuclear waste in France. If in fact France does use “everything” and they “don’t leave any waste,” then why all these stories, why the contrary claims? Just curious. Why all the contrary claims, friend? Because environmentalism loathes nuclear power. And Greenpeace prints and circulates lies faster than the Code Red virus infected the world’s computers. Said Tanzania’s Doctor Michael Mbwille (of the non-profit Food Security Network). I found you on Mises.org with an article discussing Nuclear vs. Wind. I have been a huge proponent of nuclear power and the use of radioactive isotopes for medical and industrial purposes, and am often frustrated by the sheer absurdity of people’s perceptions of radioactive materials. Nuclear ‘waste’ is one of the biggest myths relating to nuclear power, and I’m glad someone finally has the nerve to point it out. To spite all those radiophobes, I keep Uranium-238 and high-grade Uranium ore on my nightstand. Soon I’m going to buy some Strontium-90 and Cobalt-60 sealed pellets to add to my collection. Hello R.J. Nice to meet you. Thanks for reading my Nuclear versus Wind article on vonmises.org, and thank you also for your comments. Most of all, thank you for dropping by. It floors me how ignorant people are and how said ignorant people will not use logic in their thinking or reasoning. A lot of these people make hasty decisions and let emotions cloud judgement and understanding. I am all about making the earth cleaner BUT to ignore the facts is completely ludicrous. The energy necessary to produce the alternative energies is not sustainable using alternative energies. Meaning, other energies such as coal, oil, and nuclear are needed. There aren’t enough batteries to run a town and the storage and cleanup for them is just as toxic as nuclear. Even the batteries used in the so-called “Smart Cars” are polluting because once used they have to be stored as “Toxic Wastes”. The solar panels are so inefficient and expensive it’s not even worth discussing. Wind mills are a better alternative than solar but not as the sole means of energy. There isn’t enough land to hold the amount of wind mills necessary to sustain the amount of energy needed to keep a city the size of Houston running. So what’s the most efficient means of energy? Regardless of who you are or what you think, nuclear energy is the most efficient. Is it the most dangerous? Maybe, maybe not. The nuclear industry has a pretty good safety record. There have only been three emergencies where major concern have arisen, that I know of, and I have been in the industry for 15 years. One of these is happening right now in Japan and this was caused by an earthquake of 9.0. Where in the United States is there a fear of an earthquake of that magnitude, other than California? The other two meltdowns were caused by operator error. So in short, there are many concerns with nuclear energy as there are with any other energy. What we have to ask is what is the most inexpensive, efficient, and safe means of energy? If you do the math, it’s a simple answer, Nuclear. The problem is the government, as mentioned above. Get the government out of the money making business because they aren’t good at it. Talk about inefficiency! But, not to rule out other alternatives by any means. A combination of all would be preferrable. Nuclear as the main source and wind as a back up. Leave the batteries in the flashlights and ipods. I guess solar would be a nice energy saver for the individual homes, if you can afford it, but you still need a battery back up system with it. 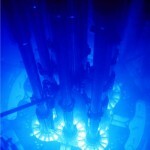 What about the fact that Nuclear energy requires the use of a finite resource? Much like oil, which will likely be the downfall of our entire economic structure. Seems like putting all your eggs in that basket is a pretty dumb idea and not sustainable at all, which is what we really need to be thinking about…not siphoning more resources from the planet so that someone else can get rich. You get 1,000,000 time more energy per kilo of Nuclear fuel used in Nuclear reactor that you do from the same weight in Coal, gas, or renewable means, battery uses 10 times more energy to make than it will ever produce even rechargable. A reactor has a working life of decades and when properly controlled is a very clean an efficiant producer of electricity, the “waist” radioation levels on spent fuel is very low and the half life is also low + it can be recycled into medical uses like Kemo and other types its just a case or processing it. I for one back Nuclear energy it is the best chance we have to produce the power needed to fill the increasing gap created in an increasing world population dependant on ELECTRICITY, coal & gas should now be used as a back up, while I do back Nuclear I do feel solar / wind should be built in to new build housing so at least this takes the demand off the grid and can feed in power on good days as there is no haem in doing this + customers can use the power their solar / wind makes to run their equipment. While renewable energy is needed its NOT ideal due to limitations of sun / wind, build a massive dam and flood a huge area (just look at Hover Dam and lake Mead) etc so we need a cleaner method and that has to be Nuclear, saves burung millions of tons of coal producing millions of tons of CO2 every year to run one plant that produces 200 – 300 MW a year you can run 1 reactor and produce 300 – 650 MW every year for 10 years, If a reactor is designed well and opperated correcty there is no reason why we should have a meltdown. Unfortunataly the Japan Fukushima plant obveously did not anticipate / look at puting its deisel generators in a building / on top of a building to stop them being taken out by the flood water or running a burrid power line to the site from the grid as a backup feed, but credit to the design of the reactors that they have held up well and only released minimal radioation (unlike Chernobyl which DID NOT have a containment vessel) which will decay back to back ground within maybe a few weeks – a month, the buildings housing the reactors make it look like a total loss but the reactors are reletevely well protected and the buildings are designed to have blow out side and roof panels. I agree there needs to be a real re-think on plant location and spent fuel holding and other safty related stuff but I for one would be happy to walk right back in to the plant once the water pumps are back up and running. Once Japan gets back on its feet I want to go and see the Fukushima plant. My heart goes out to all who have lost thier lives in Japan and to the brave 50 + who are working on the fukushima plant I have very faith in you guys and pray that you solve the issues, so come on lets all help rebuild Japan rather than point at Nuclear as the enemy !!! Those who have been there understand the unique culture and value of the Japanese. It pains me to observe the enormous and yet uncounted loss of life due to the historic earthquake and ensuing tsunami. In contrast, to my knowledge, no one is dead from the [media fantasized] nuclear holocaust. As opposed to the worthlessness of…?